The Nigerian parliament will likely pass the long-awaited oil reform bill next week, as President Goodluck Jonathan wants to sign the bill into law before the current administration ends its term, the oil minister said Friday. 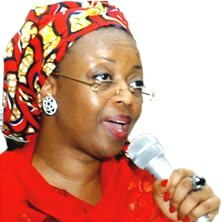 "Efforts are being made to pass the [Petroleum Industry] Bill in the current dispensation, its currently undergoing the final phase of discussion in the National Assembly," Oil Minister Diezani Alison-Madueke told reporters in Lagos. "We have been given an assurance by the National Assembly that it intends to present the [Petroleum Industry] bill to the president next week for his assent," the minister said. The term of the present administration ends on May 29. Few analysts say the parliament will be able to pass the bill before then. On Wednesday, lawmakers in the House of Representatives postponed deliberations on the bill, demanding more time to study it. The piece of legislation, which seeks to overhaul Nigeria's oil and gas industry completely and fundamentally change Nigeria's decades-old relationship with Shell, ExxonMobil and Total has been with the National Assembly since 2008. Alison-Madueke said both the executive and legislative arms of the government had worked hard to pass legislation that would ensure fair returns to both the government and all stakeholders. The government hopes the bill will tackle issues including funding shortfalls at its joint ventures with foreign firms, insecurity in the Niger Delta, increasing local involvement in the industry and production of more gas for domestic power.